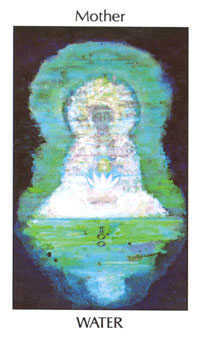 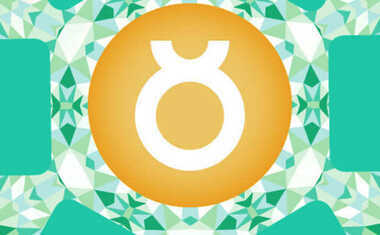 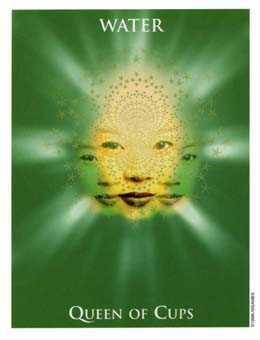 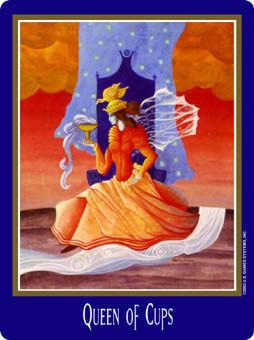 You are called upon to be a loving master of emotional integrity. 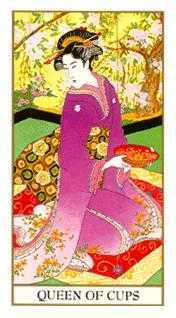 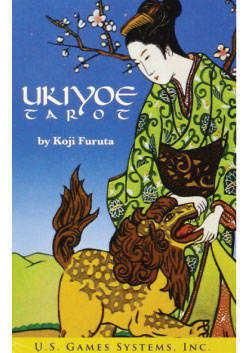 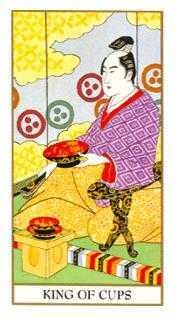 Ukiyoe deck © U.S. Games Systems, Inc. 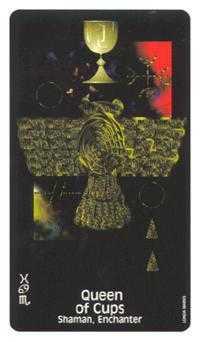 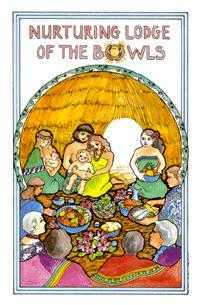 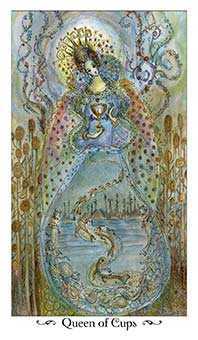 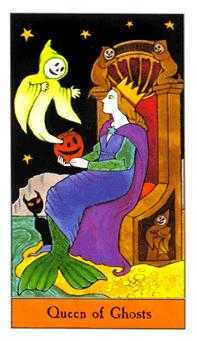 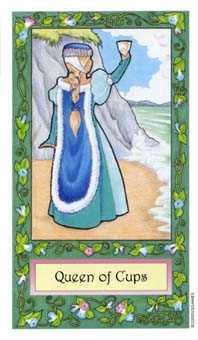 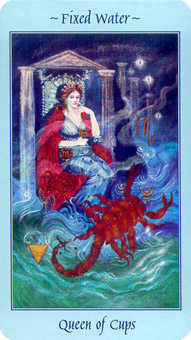 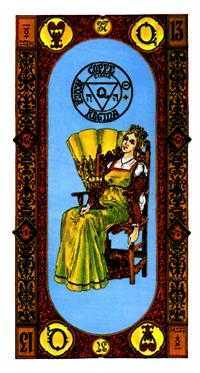 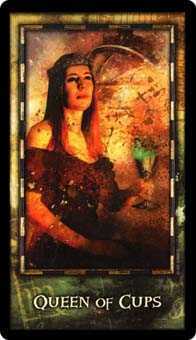 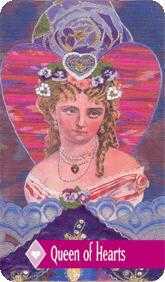 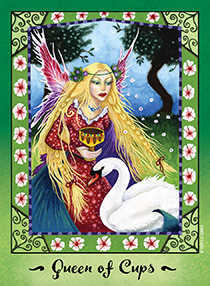 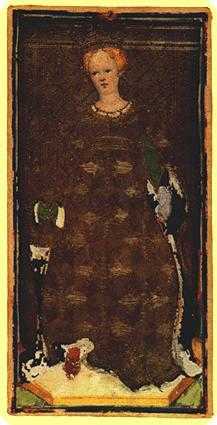 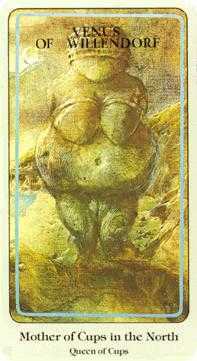 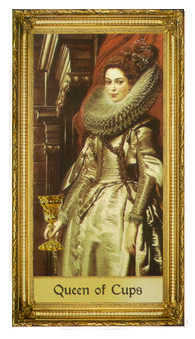 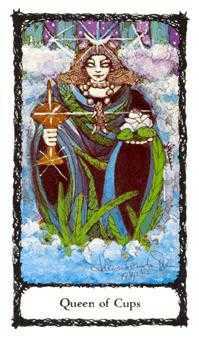 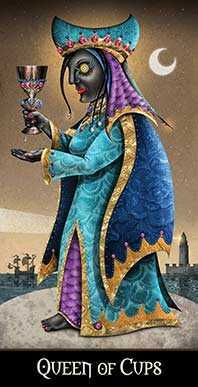 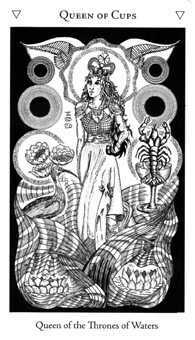 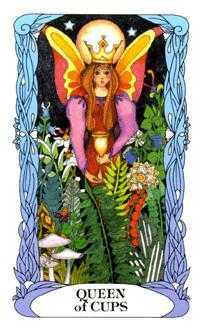 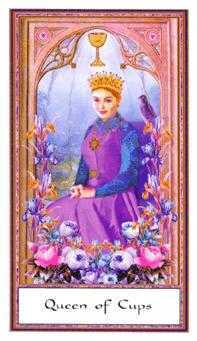 Traditionally, representing the energy of a Queen, this card traditionally portrays a sensitive, vulnerable, omniscient woman who offers unconditional love. 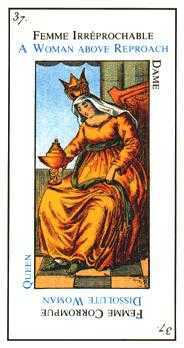 She is supremely empathic -- sometimes to a fault. 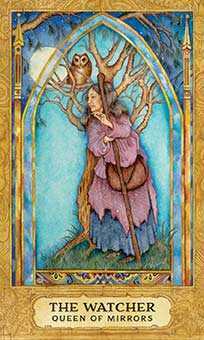 Her caring nature exposes her to everybody else's emotions and needs. 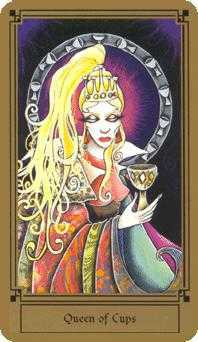 This person sometimes has difficulty identifying her own best interests in the midst of her responsiveness to others. 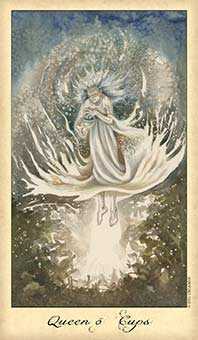 As a result, she sometimes appears slightly unfocused or perhaps overwhelmed, filled as she is with "spirits". 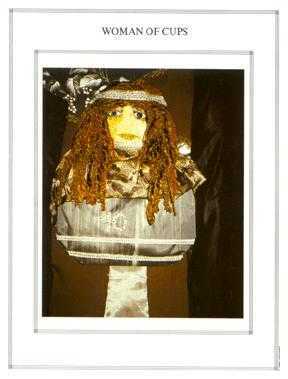 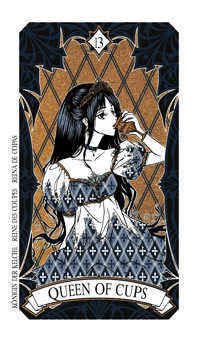 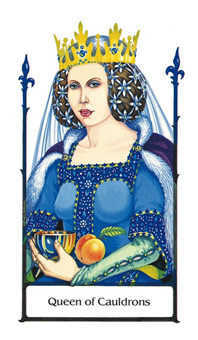 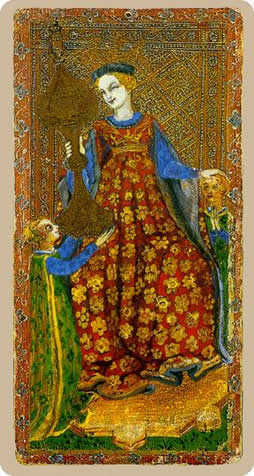 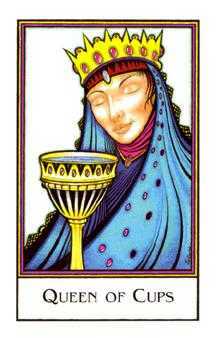 She represents the Grail Queen, as well as the Goddess of the Family. 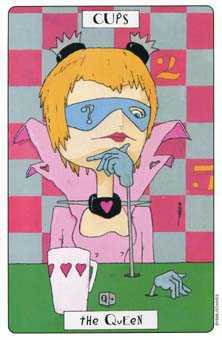 Exercise your empathy. 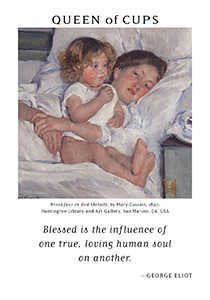 Be nurturing to others in a way that allows them to understand what it is all about. 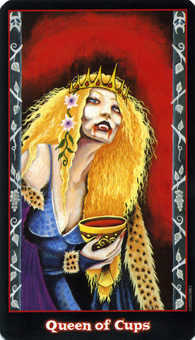 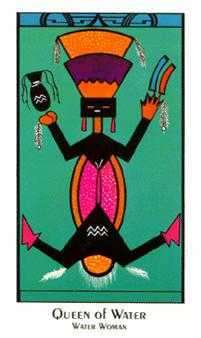 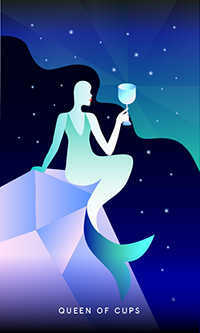 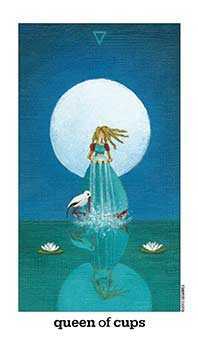 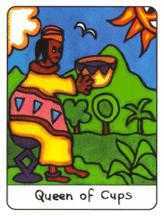 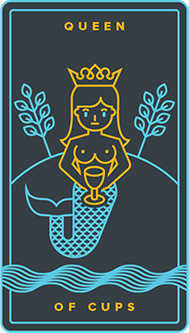 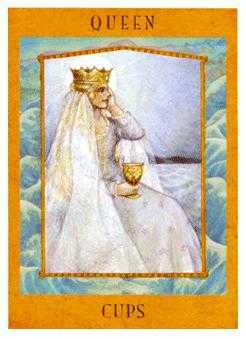 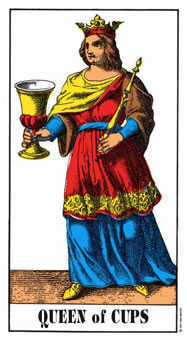 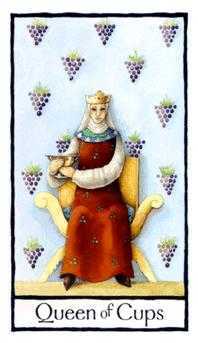 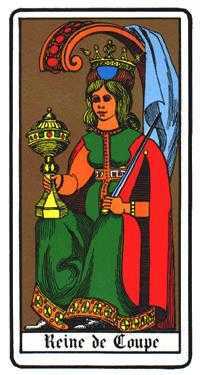 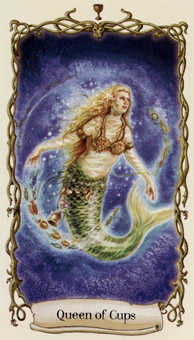 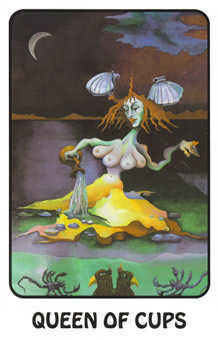 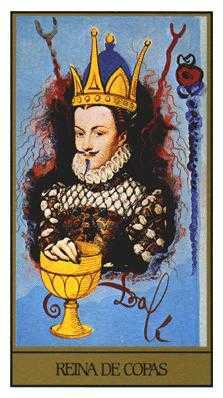 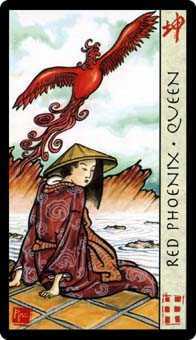 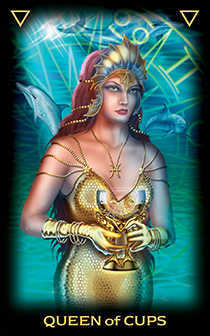 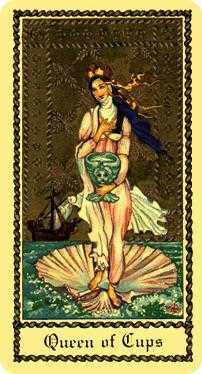 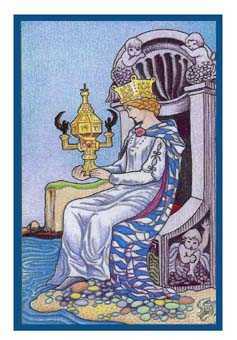 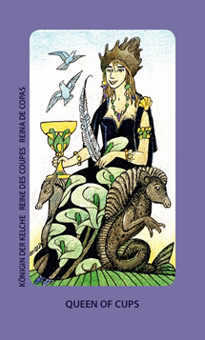 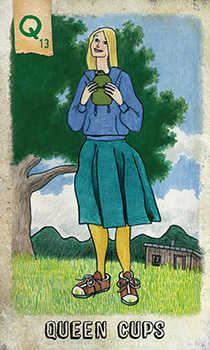 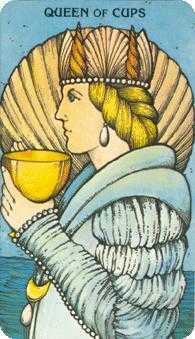 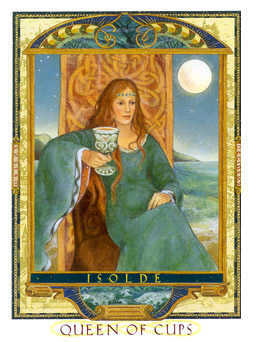 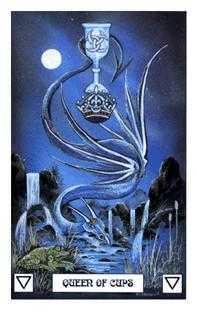 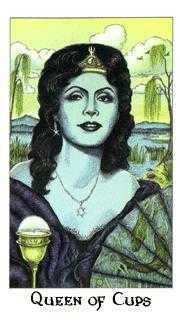 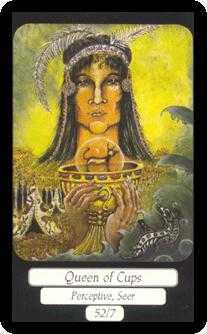 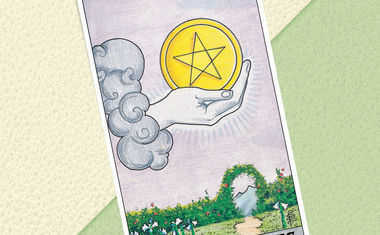 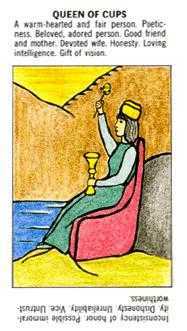 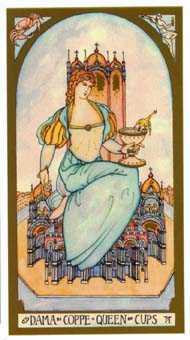 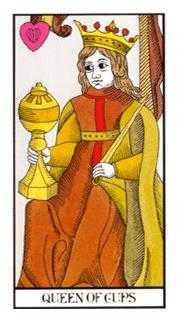 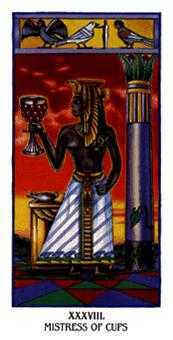 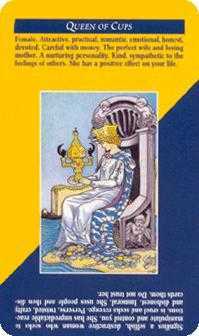 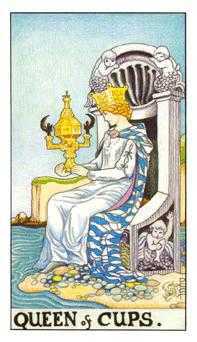 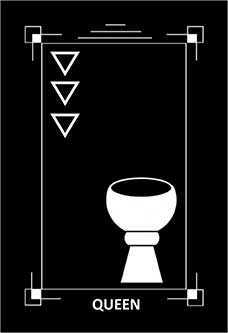 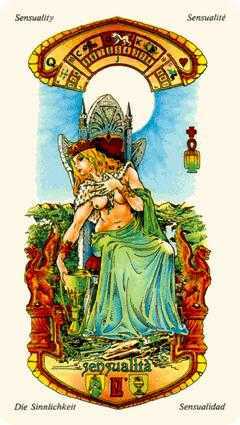 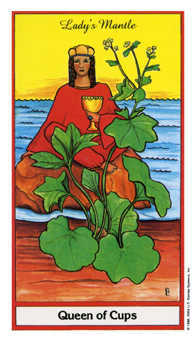 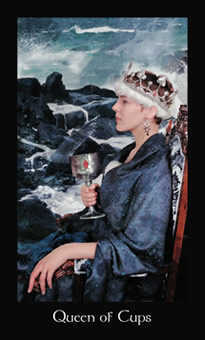 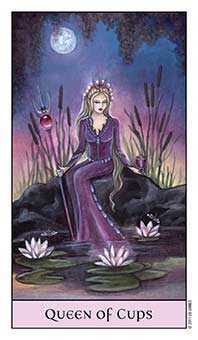 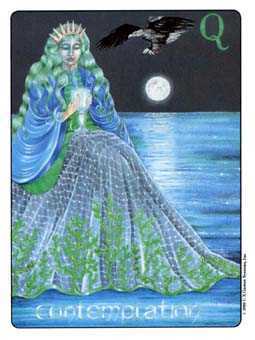 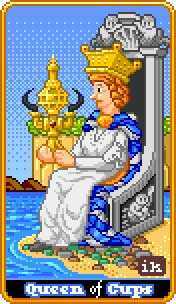 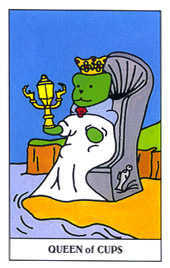 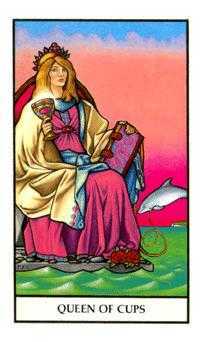 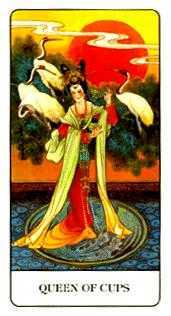 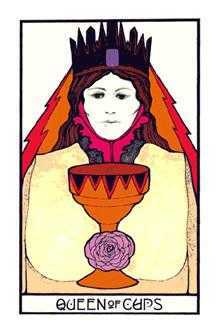 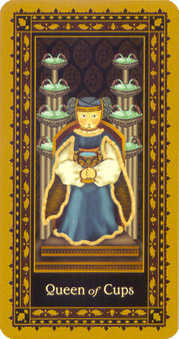 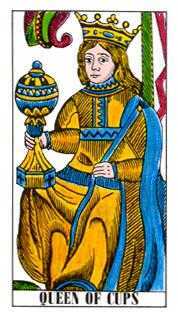 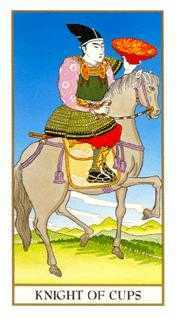 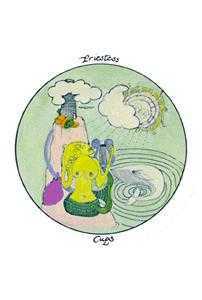 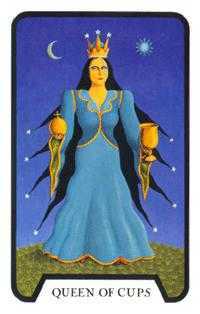 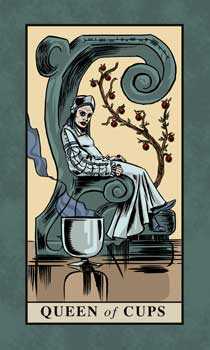 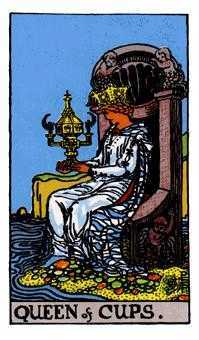 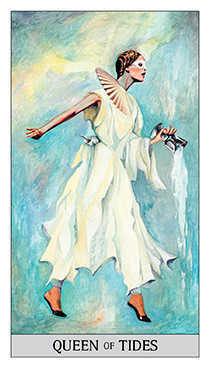 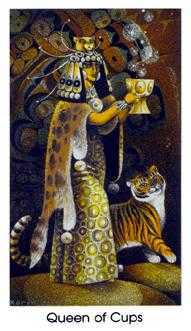 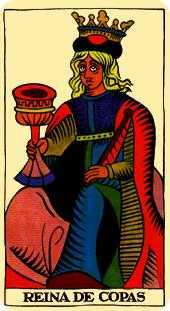 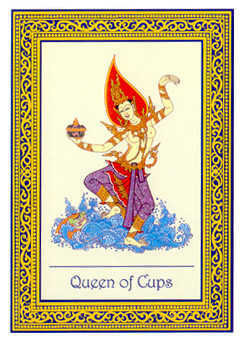 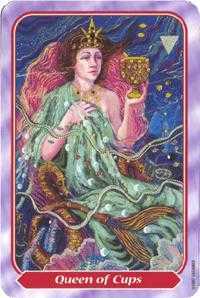 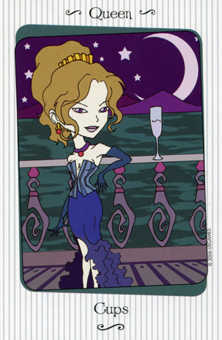 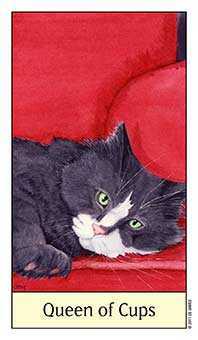 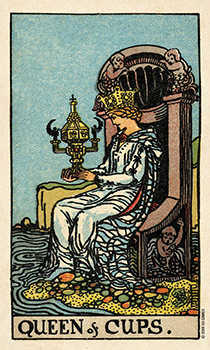 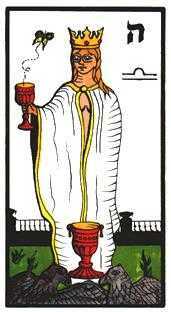 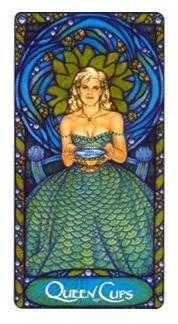 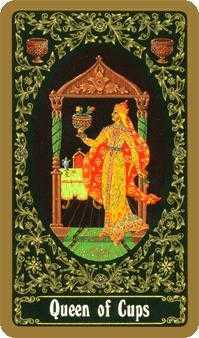 The Queen of Cups in this position encourages you to be generous, kind and forgiving. 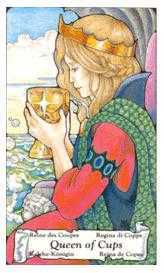 Support the ability of others to get what they want. 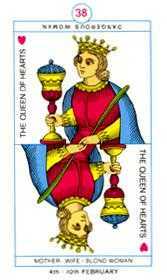 Nevertheless, remember as with anyone in a caretaking position, you have a fine line to walk. 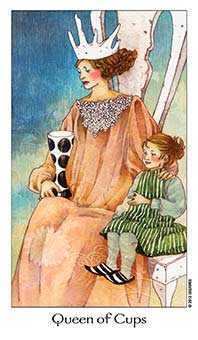 You do not want your loved ones or teammates to become complacent or dependent, as if they can take your support for granted with little or no consideration for your needs. 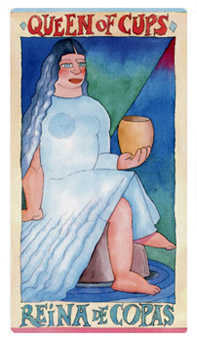 Cultivate an awareness of love as freely giving and receiving. 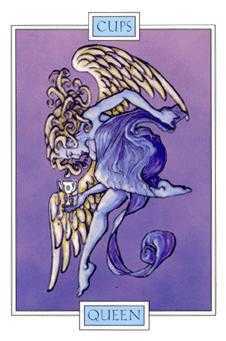 In the process, help clarify the important difference between receiving energy and taking it. 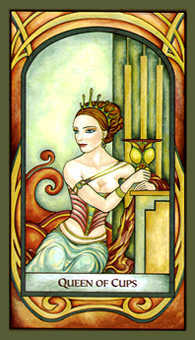 Do not allow your willingness to give be misunderstood or abused, as if it were a weakness.